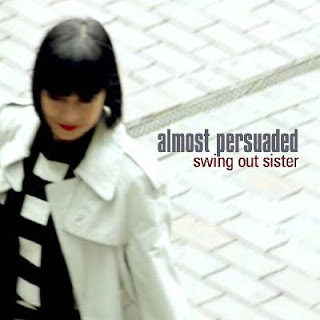 Swing Out Sister will release their tenth studio album, Almost Persuaded, on June 22. Produced by band member Andy Connell, the album was originally released late late year to those who paid money via the band's Pledge Music campaign but is now getting a general release. The album has developed over time, starting as the "Movable Feast" project on Pledge Music and included an early version of the set in 2015 title Rushes. This is the duo's (Corinne Drewery and Connell) first official studio release since 2008's Beautiful Mess and tenth overall going back to 1987's It's Better to Travel. That album included their breakout hit, "Breakout" (1986 / #6 Pop / #1 Adult Contemporary / #4 U.K.) and also included "Twilight World" (1987 / #31 Pop / #7 AC / #32 U.K.).